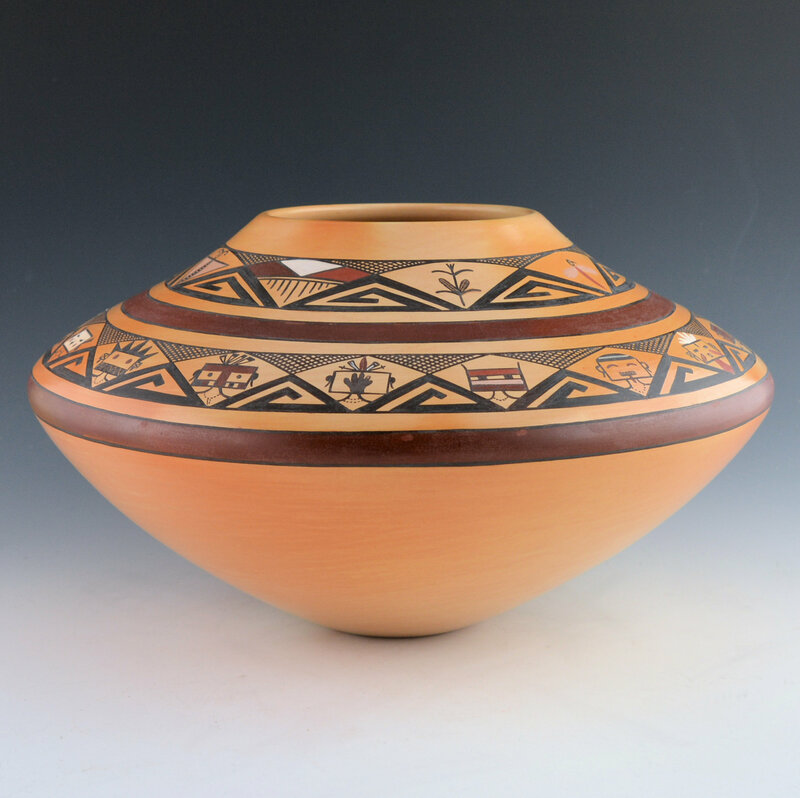 This is an exceptional large jar by Mark Tahbo. 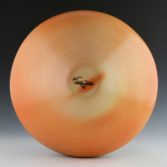 It came from a collector who purchased it directly from Mark. 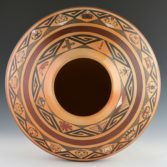 It looked very familiar and when I went though some old photos, I realized I had been at Hopi the day it was fired! Mark had been firing pieces for Santa Fe Indian Market in1998 and asked me to come up and photograph some of the firings. 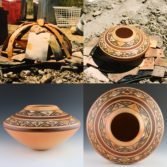 At the end of the photos are some photos of this being taken out of the firing! What an amazing coincedence! It’s no surprise that this jar is thin walled and a great shape. The entire surface is fully polished. 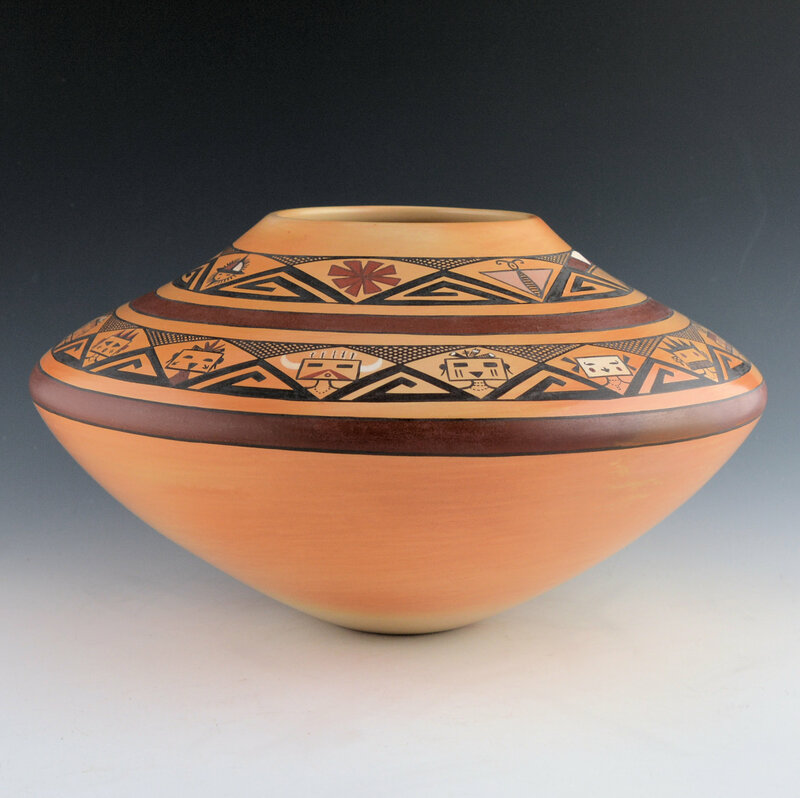 The jar was made in 1998 and it was one of the first times he had deviated from more classic Sikyati designs of Nampeyo and his great-grandmother Grace Chapella. Here each of the figures around the shoulder has a different katsina mask including the grandmother katsina, hornet, cloud, star, and others. Note how the mask of each one is different and painted with both red, white and mauve clay slips! The band closer to the neck has star, bird, corn, raincloud, butterfly and flower patterns. Again, they are painted with the various clay slips! 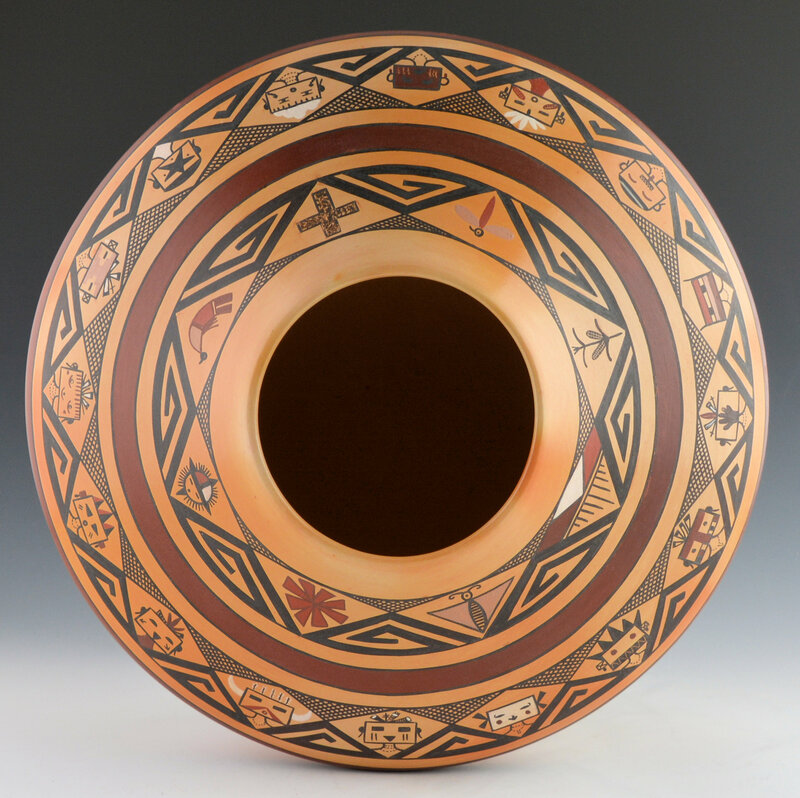 The complexity in design and the variations in color are certainly a hallmark of this period of his pottery. 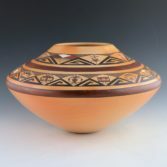 The jar was traditionally fired and there are great blushes on the surface. 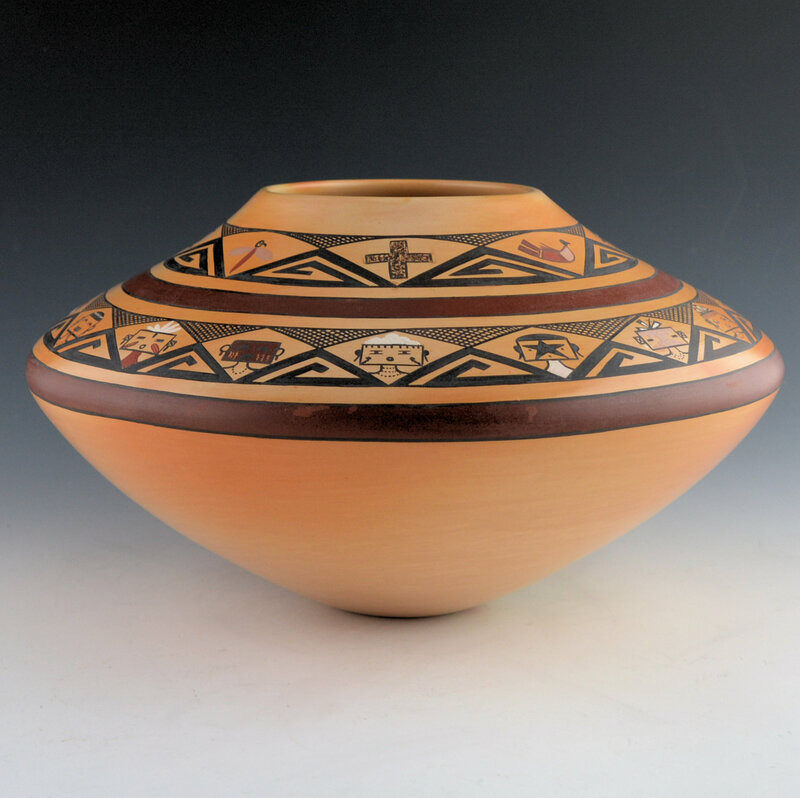 Mark fired his pottery outdoors using sheep dung and the smoke created the intense colorations. 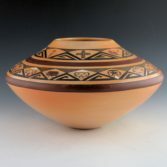 He was always fascinated with the blushes in the clay and worked hard to give his pottery a rich appearance. 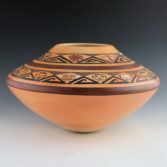 This jar is in excellent condition with no chips, cracks, restoration or repair. It is signed and dated on the bottom.